Esta é a nova Nerf que vai sair no Outono de 2014. Créditos de Popular Mechanics. Aparentemente esta Nerf, Demolisher vai ser lançada este ano. A Nerf parece altamente e está sem dúvida na minha lista de coisas a comprar. O preço é um bocado alto, mas acho que vale isso. No que toca À Nerf, por fora, deve ser das Nerf´s mais bem desenhadas, e como podemos ver, em termos de funcionamento, não fica atrás. Dispara até 100ft/85ft, ainda não sabemos ao certo. Mesmo assim, é espetacular. Deixo-vos com algumas fotos. Créditos para UK Nerf e Popular Mechanics. 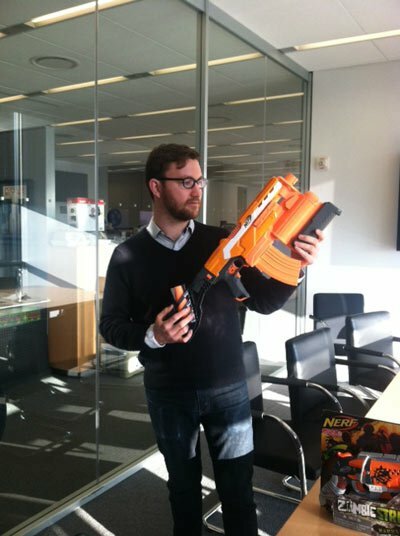 This is the new Nerf blaster that will be release in the 2014 Fall. Props to Popular Mechanics. Apparently this blaster, the Demolisher will be release this Fall. 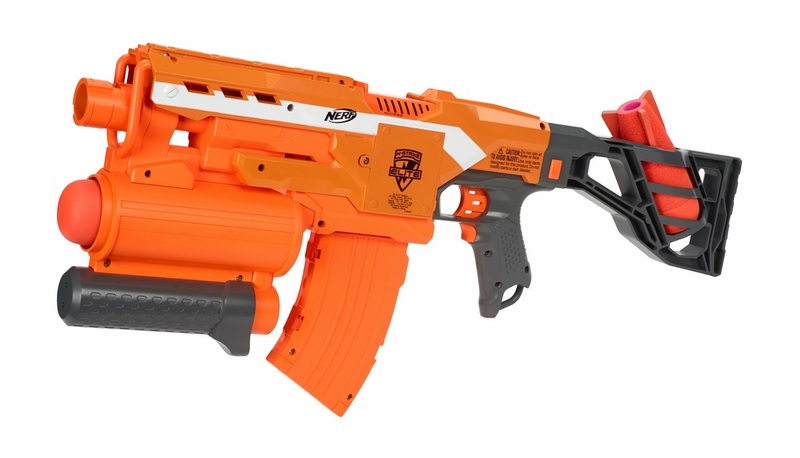 This Blaster looks awesome and it´s definitely on my “To Buy” list. The price is a little bit high, but I think it´s worth it. This blaster, must be one of the best well design ones and as we can see, in terms of internals, it doesn´t get very far behind. It shoots up to 100ft/85ft, we don´t know for sure yet. Even so it´s awesome. I will let you with some pictures. Credits to UK Nerf and Popular Mechanics. This entry was tagged Demolisher, Elite, ExtremeNerf, Nerf, Nerf Elite. Bookmark the permalink.